The Mission Houses Museum will be hosting a lecture, Images of Early 20th Century Honolulu, to be presented by Suzanne Case on Tuesday, September 1 at noon. Historic Bites, free, bring lunch or buy it from the café. "I owe my success in life to one single fact, viz., that at the age of twenty-seven, I commenced a continued process of daily reading and speaking upon the contents of some historical and scientific books. These off-hand efforts were made sometimes in a corn field, at others in the forest, and not infrequently in some distant barn, with the horse and ox as my auditors. It is to this early practice in the great art that I am indebted for the primary leading impulses that stimulated me forward, and shaped and moulded my entire subsequent destiny. Improve then, young gentlemen, the superior advantages you here enjoy. Let not a day pass without exercising your power of speech. There is no power like that of oratory. Caesar controlled men by exciting their fears; Cicero by captivating their affections and swaying their passions. The influence of the one perished with its author -that of the other continues to this days." We’ve received the Fall 2009 schedule of live and online professional development workshops from the National Humanities Center. These are designed for K-12 U.S. History and American Literature teachers. The cost is $35 per workshop. The National Humanities Center, located in North Carolina's Research Triangle Park, is the country's only independent institute for advanced study in all branches of the humanities. Since 1984, it has been offering rigorous, content-based professional development programs for high school teachers. We recommend these workshops for Hawaii K-12 history educators. The National Humanities Center programs are eligible for recertification credit. Each workshop will include ninety minutes of instruction plus ninety minutes of preparation. Because the workshops are conducted online, they may qualify for technology credit in districts that award it. The Center will supply documentation of participation. The workshops are conducted online using conferencing software. To participate, you need a computer, an internet connection, speakers, and a microphone. If you need a headset with a built in microphone, one will be provided. The Toolbox Library provides primary sources-- historical documents, literary texts, visual images, and audio material--illuminated by notes and discussion questions. TeacherServe features collections of essays by leading scholars that explore important topics in American culture and offer advice on how to teach them. For more information and to contact the National Humanities Center go here. "As a Lad he Often Heard Great Emancipator Tell Stories to Friends"
“My father was a circuit court judge in north Illinois and both Lincoln and Douglas practiced in his court, which was held at times in the village of Chicago,” said Mr. Dickey. “My father and Lincoln were often bedfellows, as they often visited the small towns and spent the night together at the hotels. It was while they were spending a night together thus that Lincoln first made the statement which later was the keynote of all of his life-work. He and father had been talking through the evening over the question of slavery, and fell asleep while they were talking. Later on in the night Lincoln wakened my father and said with great earnestness: ‘Dickey, I tell you, the United States cannot exist half-slave and half-free.’ Not realizing he had heard a statement which would become immortal, my father somewhat gruffly told him to forget that for now and go to sleep. “Lincoln often stopped at our house and though folks now tell of him as a very homely man my recollections of him are always with his face covered with smiles. We children always liked to have him visit us. With the forming of the Douglas party in Illinois, my father found himself on the Douglas-Democrat party as opposed to Lincoln. Later, in our home I heard Lincoln tell my father: ‘Dickey, I believe that it was your work in Central and Southern Illinois which beat me.’ If he had been elected senator then I expect that he would not have led the Nation as President later, so that my father was playing a large part in national affairs. “Though I heard him tell many of his stories I can remember but one. With three or four men and my father they spent an evening together swapping stories. As a boy I was allowed to remain in the room and listened to them talking. Lincoln told of his troubles in French St. Louis on a recent trip there on legal business. He was in a French dining room ordering his dinner. The menu was in French and since he did not understand a word of it he pointed to the first item. The waiter brought him a bowl of mulligatawny soup. That finished, he pointed to the second item and received a bowl of oyster soup. Somewhat puzzled, he finished the oyster soup and signaled for the next article listed and, greatly to his surprise, the waiter came in with vermicelli soup. In despair he motioned for the last item on the bill and the waiter came back with a mug of toothpicks. “I, myself, served three and a half years in the army; entering as a private and later receiving a commission as second lieutenant as was adjutant in General Grant’s bodyguard,” concluded Senator Dickey. Historians, scientists and astronomers around the world paused this past week to mark the 400th anniversary of the telescope as popularized by Galileo. 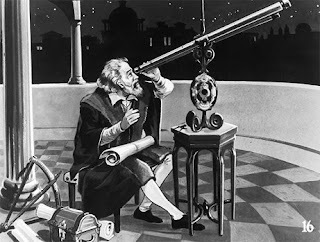 (It should be pointed out that he did not invent the telescope, but acquired one and improved it). The Philadelphia Inquirer published this story on the exhibiting of the Galileo telescope in its April 2, 2009 online edition. National Geographic celebrated the 400th anniversary of Galileo's telescope this past week. Just over 400 years ago, Galileo--then chair of mathematics at Italy's University of Padua--got word that Dutch glass makers had invented a device that allowed viewers to see very distant objects as if they were nearby. The mathematician soon acquired a Dutch instrument, and on August 25, 1609, he presented an improved, more powerful telescope of his own design to the senate of the city-state of Venice. The government officials were so impressed with Galileo's telescope that they rewarded the professor with a higher salary and tenure for life at his university. At the time, Galileo was touting the telescope for commercial and military applications, such as watching ships at sea. But in the fall of 1609 Galileo turned his telescope to the heavens, setting into motion a new kind of science: telescopic astronomy. The Franklin Institute is hosting an exhibit on Galileo. A complete educator's guide can be downloaded here. We learned via Facebook of Yale University's online exhibit Starry Messenger: Observing the Heavens in the Age of Galileo. "This selection of engravings, charts, diagrams, and texts reveals the furred and cratered faces, the portents and instruments in European observations of the heavens from the sixteenth through the eighteenth century." Italy's Institute and Museum of the History of Science has a section of its web site entitled Galileo Portal, providing "access to the variety of the Galilean resources published on the Istituto e Museo diStoria della Scienza website. The portal is articulated in 9 sections. A specific search engine allows to freely browse the contents of the different archives." Rice University features an array of information on Galileo and the telescope via its online Galileo Project, including lesson plans for teachers, the Italian astronomer's biography and much more. With Malice Toward None: The Abraham Lincoln Bicentennial Exhibition commemorates the two-hundredth anniversary of the birth of the nation’s revered sixteenth president. More than a chronological account of the life of Abraham Lincoln, the exhibition reveals Lincoln the man, whose thoughts, words, and actions were deeply affected by personal experiences and pivotal historic events. In commemoration of the two-hundredth anniversary of the birth of the nation’s revered sixteenth president, this exhibition reveals Lincoln the man, whose thoughts, words, and actions were deeply affected by personal experiences and pivotal historic events. Through documents and books, broadsides and newspapers, prints and photographs, artifacts and maps, the exhibition charts Lincoln’s growth from prairie politician to preeminent statesman. It provides a window into the Lincoln presidency, his struggle to keep the Union intact, and his attempts to heal the nation’s wounds. Filmed commentaries from distinguished Americans appear throughout the exhibition, forging a personal connection to the documents Lincoln wrote. Interactive programs trace the president-elect’s celebratory rail trip from Springfield, Illinois, to Washington and the return of his funeral train to Springfield as the nation mourned. By placing Lincoln’s words in a historical context and presenting such bedrock documents in U.S. history as Lincoln’s First and Second Inaugural addresses, the Gettysburg Address, and the Emancipation Proclamation, the exhibition provides a deeper understanding of how remarkable Lincoln’s decisions were for their time and why his words continue to resonate today. With Malice Toward None: The Abraham Lincoln Bicentennial Exhibition and its national tour are made possible through the generous support of Union Pacific Corporation. The Library of Congress has created a web resource that historians and legal scholars alike should enjoy: Lincoln and the Law. Features include scans of online books dating from the mid-19th century, among other resources for teachers, students and history buffs alike. "Lincoln’s effort to restore the Union and his contributions to American political thought and its ideals of freedom often obscure the fact that he had been a successful attorney. Lincoln himself admitted his ambition lay in politics and not in the law, “My forte is as a Statesman, rather than a Prosecutor.” Even if the law was Lincoln’s “secondary” avocation, it was indelibly linked to him in life…and death. 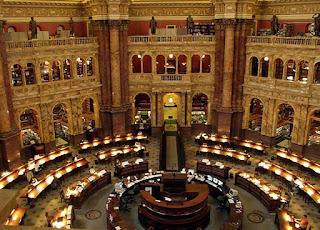 The Law Library of Congress’ historical collection vividly illustrates three periods in which the law played a prominent part of the Lincoln era." First, Lincoln the Lawyer is comprised of works specifically on his work as a prominent Illinois lawyer. Second, Habeas Corpus and the War Powers of the President covers contemporary literature at Lincoln’s controversial balancing of civil liberties against the demands of war aims. Most notoriously, he and his administration several times suspended the writ of habeas corpus, a writ by which prisoners can challenge the legality their detention, drawing the ire of political foes. Finally, The Assassination: Trials contains period transcripts and reports of the trial of the surviving conspirators in the murder of the President and attempted murder of other public officials. George Atzerodt David Herold, Lewis Payne/Powell, Mary Surratt were convicted of the crimes and executed. Samuel Arnold, Michael O'Laughlen, Dr. Samuel Mudd, Edman Spangler were also convicted and received prison sentences. Today Hawaii marked its 50th anniversary as the 50th state of the United States of America. The Honolulu Advertiser features historical background about statehood via its August 21 online edition here and here. The Honolulu Advertiser has also published a series of historical photos on the quest for statehood that can be viewed here. The Star Bulletin has published A Statehood Journey that includes online versions of original stories and photos from 1959. Of interest is this link to a story about efforts as early as 1849 to secure statehood for the islands. The state government web site includes this link to its official commemoration of 50 years of statehood. President Barack Obama, who was born in Hawaii, issued a proclamation today that can be viewed from the White House web site. The American Presidency Project features a recording of President Eisenhower’s remarks upon signing the proclamation admitting Hawaii to statehood. Yesterday a group of 50 immigrants were admitted to American citizenship at the Hawaii State Capitol. No celebration of Hawaii’s statehood could be without a stirring rendition of the Star-Spangled Banner. A 14 year old young lady, Arshiel Calatrava, brought a feeling of pride to an audience assembled at the Hawaii Convention Center. A one reporter put it, “the Pride of Hawaii, the soul of America.” We could not agree more. NCHE Editor's Note: NCHE Trustee Theodore K. Rabb of Princeton University was asked, by a bipartisan group of U.S. Senators concerned about the state of history instruction in our schools, to draft a statement about the need for further action beyond the Teaching American History Grant Program that has been passed by Congress in recent years and the American History Achievement Act that is pending before the Senate. What follows is that statement, which he drafted together with NCHE Trustee Byron Hollinshead of American Historical Publications. In accordance with the Senators' wishes, it has been circulated to a distinguished roster of public figures, historians, leaders of historical organizations, Pulitzer Prize winners, and educators who have endorsed its goals. That list of signatories is appended to the statement, but its impact would be greatly enhanced if, as we hope, a large number of members of NCHE will be willing to add their names to the list. To indicate your support of the Statement, please click on the link above. Co-signers will be adding their names as individuals with their affiliations only as identification. "History belongs in the school programs of all students, regardless of the academic standing and preparation,... because it provides the only avenue we have to reach an understanding of ourselves and of our society. (iii) that funds be provided for all Schools of Education to offer intensive preparation in the content of History as part of the education of teachers of history. Gordon Wood, Professor of History, Brown University, Pulitzer Prize Winner. OAH = Organization of American Historians. I am simply one who loves the past and is diligent in investigating it. In March 1987 a high school teacher in Concord, Massachusetts named Will Fitzhugh started The Concord Review during a sabbatical. This remarkable publication for high schoolers interested in publishing historical scholarship is still running strong. In June 1987 The Concord Review was incorporated as a nonprofit, tax-exempt corporation in Massachusetts and its nonprofit 501(c)(3) status was attained a year later. In August 1987, a brochure calling for papers was sent to every high school in the United States and Canada and 1,500 schools overseas. By the Spring of 1988, a good number of papers had been submitted and there were subscribers in 14 states and 4 other countries. The Ralph Waldo Emerson Prize was established. Prizes have now been awarded to 61 students published in The Concord Review. Almost all of their essays are on the website. The prizes were $3,000, and went to five authors each year. 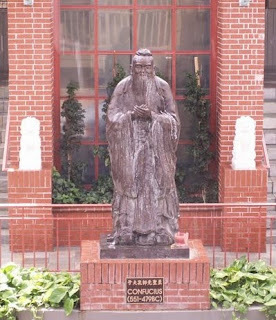 In 2002, TCR Institute was created to study academic work by high school students. The institute’s first study of the state of the term paper in U.S. high schools is on its web site. Albert Shanker, late president of the AFT wrote: “The Review also has a vital message for teachers. American education suffers from an impoverishment of standards at all levels. We see that when we look at what is expected of students in other industrialized nations and at what they achieve. Could American students achieve at that level? Of course, but our teachers often have a hard time knowing exactly what they can expect of their students or even what a first-rate essay looks like. The Concord Review sets a high but realistic standard; and it could be invaluable for teachers trying to recalibrate their own standards of excellence. The History Education Council of Hawaii strongly encourages high school educators to inspire and encourage their students to submit papers for consideration and publishing in future editions. Click here for more information. Go to this link to see a listing of the current edition of The Concord Review, as well as how to subscribe. The National History Education Clearinghouse (NHEC) advertises in HistoryNews, the magazine of the American Association for State and Local History. History educators will find many wonderful resources designed to connect teachers with a variety of content resources, teaching materials, teaching strategies and the latest news about history education. There is also information on best practices, history content, news, issues and research, professional development, Teaching American History Grants (TAHG) and more. The NHEC operates out of George Mason University in Fairfax, Virginia.